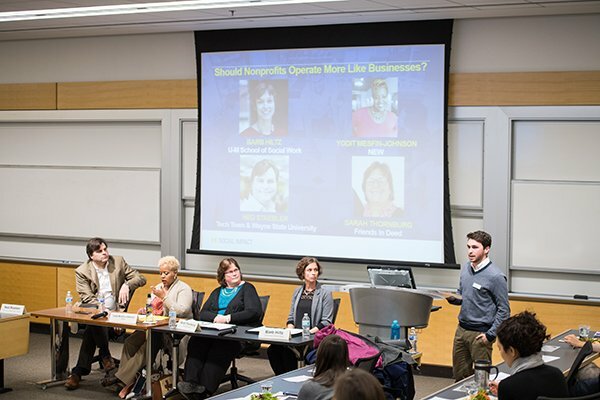 The nonprofit sector is in a time of generational change. The U.S. baby boomer population has comprised the majority of board leadership roles across the country, but as they leave these positions, there is a significant challenge (and opportunity) for nonprofits to recruit the next generation of nonprofit board leaders. Currently, individuals under the age of 40 make up less than 17% of nonprofit board positions. To reduce this gap, nonprofits will need to employ a number of strategies to recruit and retain younger members. Panelists will discuss the value of a younger perspective on nonprofit boards and the efforts in place to adapt to this generational shift. This event is free and open to the public. Food will be served.